Addie is the Director of Nutrition Services and the Registered Dietitian for the residential unit at Focus. She earned a Bachelor’s Degree in Nutrition and Dietetics from Georgia State University, and completed her Dietetic Internship through Iowa State University. She is a Certified Eating Disorder Registered Dietitian (CEDRD), and she passionately applies her knowledge to help those in recovery from eating disorders and chemical dependency. 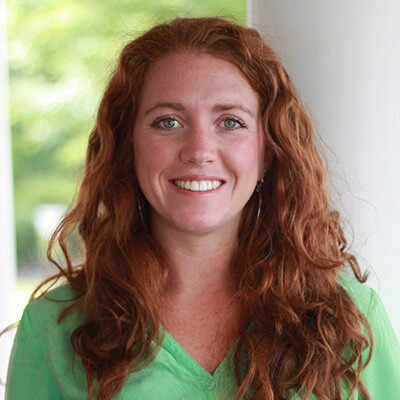 Addie has experience in other aspects of nutrition; including exercise physiology, renal nutrition, diabetes care, and clinical medical nutrition therapy. She emphasizes a non-diet, goal oriented approach with her patients as they move towards recovery. She shares her love of health and wellness with everyone. Her fresh mindset, outgoing personality, and zealousness make her a great fit at Focus. Courtney has worked in behavioral health for 10 years, specializing in the treatment of eating disorders. She has worked in all levels of care, from residential to outpatient. Courtney’s goal is to help clients develop a healthy relationship with food by practicing a non-diet approach of balance and moderation. She is DBT trained and uses a small-step goal-oriented client-driven approach that incorporates body positive and mindfulness practices.